This machine washable, felt free, hardwearing yarn is great for all your sport weight yarn needs. 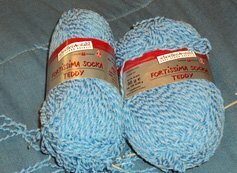 Use Teddy in your socks, mittens, and stuffed animals for a soft and cushy effect. In 50 g balls.